In this article we're going to take a look at some of the questions you should be asking yourself in order to decide how you want to approach the market - long-term, short-term or maybe even both. How much time do you have for trading? Are you somebody who has to work a 9 hour shift and also has to spend 1 or 2 hours in traffic on a daily basis? If this is your case, your trading time will be limited and thus you would need to maximize your efforts during your chart time. One solution here would be to pull up a weekly fundamental calendar and only highlight the key high impact events. Once you do this, you will be able to know at exactly what time you can expect a movement to happen, organize your day so that you can have 30 minutes available and use a scalping strategy to make your profits. If you try to trade long-term, it might be difficult for you to have your eyes on the market once a reversal of the current trend and start of a new one starts. Having a good entyr is always important, especially in long-term trading. Evestin Forex will have a new trend trading robot which is currently being tested and will be available by this Autumn. Obviously, everybody’s goal is to profit from the markets, but in what way? Would you be happier knowing you’ve taken a certain amount of pips per day, or are you happy to wait for a larger movement, and thus a larger profit after a longer period of time? This is something you have to ask yourself. 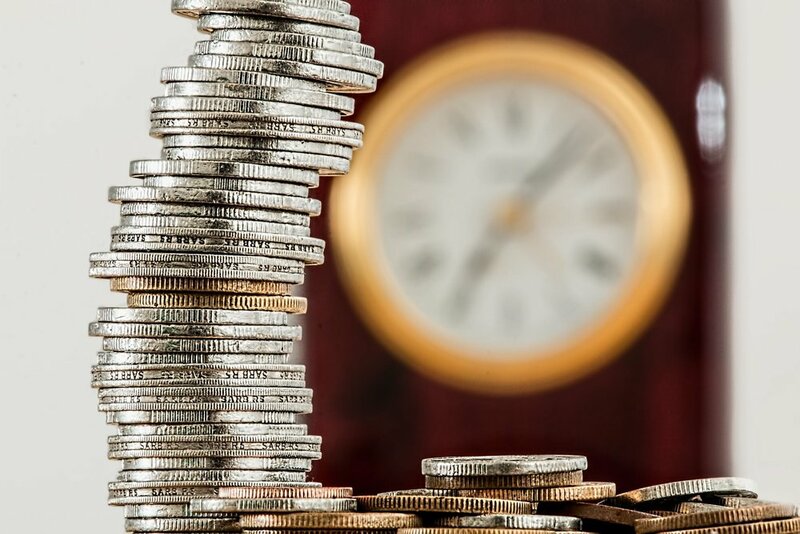 If you rely solely on trading as your main income, you might want to feel the security of taking profit every day, but if you can afford to wait, a longer trend might be more rewarding for you and less risky at the same time. Longer trends are generally less risky because you can place your stop loss at break even, if you have a good enough entrance, and not think about it anymore. Trading is a skill that can bring you more money than most other professions or crafts out there. This is why so many people give it a try. But it’s true that trading isn’t for everybody. If you are someone who doesn’t enjoy analyzing charts very often, but still want to get the financial benefits from it, then automating your trading with robots such as the ones offered by Evestin Forex would be a good solution for you. As you can see from the screenshot above, if you catch the break of the range/consolidation on the daily chart on EUR/USD on 26/04/18, then you would be looking at approximately $3,000 in profit on the day this article is published (04/07/18). This is only for a 2 month period! At Evestin Forex we understand that you might not always have the time or means to trade the markets, whether it’s short-term or long-term. This is why you will make your life easier by automating part or all of your trading. Sign up now to try our Automated Trading Systems free for 30 days! 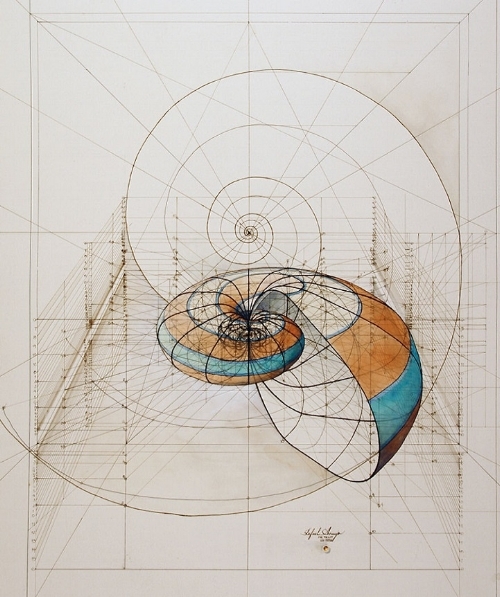 Who was Leonardo Fibonacci and what was his contribution? Born in Pisa during the late 12th century, Fibonacci is one of the most influential mathematicians in the history of our world. He is seen as one of the main cause for the revival of mathematics in Europe during a very difficult time when the crusades were taking place. Of his most famous works is the book called Liber Abaci meaning "The Book of Calculation". In this book he describes new methods of doing calculations and also introduces the Fibonacci Number Sequence and Golden Ratio. As Fibonacci’s work can be used to describe many aspects of the world which surrounds us, it can also be used to make sense of the currency markets. The ratios which he’s found are also valid for us traders. By adding Fibonacci to your trading, you can locate future targets for stops and exits as well as find very accurate entry level, which should increase your return on investment, if used correctly. The most important number or ratio is the 61.8% or .618 levels. Other most commonly used Fibonacci levels are the 38.2%, 50%, and sometimes 23.6% and 76.4%.Choosing the Finonacci level you want to interact with largely depends on the strength of the trend you’re trading with. If you have a a strong trend, which we always try to catch, you would look for a minimum retracement around 38.2% or maybe 50%; while in a weaker trend, the retracements can be 61.8% or even 76.4%. In any case the price breaks the 100% mark of the prior move the current move would be invalidated. 11.40%; 23.60%; 38.00%; 50.00%; 61.80%; 70.70%; 76.40%; 88.60%; 100%; 112.80%; 123.60%; 127.00%; 138.20%; 150.00%; 161.80%; 176.40%. Generally, the use of Fibonacci can be added to most trading strategies. However, there are many different types of Fibonacci tools you can use and it can become quite confusing. For a trader looking to keep things simple I would use the regular Fibonacci retracement tool on a 4HR chart. Always go with the trend and look to target the ends of retracements at the 61.8% level. Try to combine the Fibonacci levels with equidistant price channels. If the price is at both a Fibonacci resistance level and a trend line resistance level, then you’ll have a high probability trade setup. Stop loss can be placed slightly above the 88.6% ratio. and Fibonacci retracement for Entry's. As we’re on the topic of simple – using trading automation alongside a manual strategy can greatly simplify and enhance your trading. Sign up below and become a part of the Evestin Forex Community! As a 'Robot trader' you get your own copy of our trading robots and space on Evestin Virtual Private Server (VPS). Check out Alexander's other articles! This March, the European Securities and Markets Authority (ESMA) announced its intentions of imposing new rules regarding the trading industry. The new rules are likely to come into effect from late June/early July. Regulation is something that can either hurt an industry or help it. In most cases, it hurts it. In this case it’s being used well, as all new rules actually favor the trader. The amount of people who go into forex trading not knowing anything about the skill or industry is tremendous. These regulations will, at least, offset their losses somewhat and offer additional stability to the trading account of the retail client. The amount of noise created behind the regulations will also cause traders to seek out more valid information, and thus be more aware of what they are getting into. The new rules are a good step forward to reducing the bad rep this industry has. With a $10,000 account you won’t be able to place a 3 lot trade with the new rules on leverage. Your highest trade size would be 2.5 lots in this example. Nevertheless, if you want to take higher risk you still have more than enough opportunity to do so. Placing a 2.5 lot trade with a $10,000 balance would still be deemed quite risky in the eyes of Evestin Forex. But I want my leverage! If you still can’t get around having to deal with the new rules on CFD’s, there is still an option for you. If you have enough experience in the trading industry, you may opt to sidestep the new regulations by becoming an ‘'elective professional'’. This will allow you to receive the old leverage amounts. To do this, you would need to pass a qualitative test as well as a quantitative test. Check with your broker for extra information. Evestin Forex – where do we stand? We welcome this change as it gets rid of high risk strategies that just bring a bad name to robot trading. At Evestin Forex we are known for our low-risk trading. We believe in patience and the long-term game when it comes to the market. The new rules will have no impact on our trading robots as we use small leverage, and no more than 2% risk per trade. If you want to know your trading will be in good hands and feel secure even after the changes take effect – register for a free 30-day trial and get your trading with Evestin Forex started!